Imperial Palace, or Kokyo – the official residence of the Emperor of Japan. The palace is located in the Chiyoda district, in the heart of Japan’s capital, within walking distance of a large w / d of Tokyo Station. 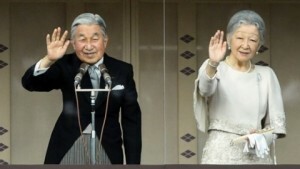 Despite the decline in the role of imperial power in the present conditions, the emperor is the symbol of the nation, and the Imperial Palace – the center of political life of Japan. The current Imperial Palace was built in the same place where once was the Edo Castle – the former residence of the Japanese rulers. From 1603 to 1847. here the headquarters of the Tokugawa Shogunate, Ieyasu Tokugawa founded. 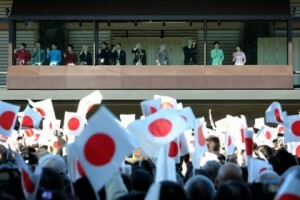 When in 1868 the shogunate was overthrown, in Edo Castle settled the new emperor. 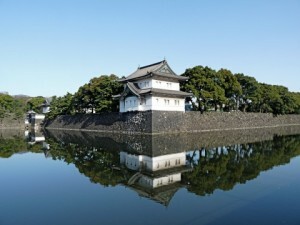 In 1888 the castle was rebuilt and named the Imperial Palace. During World War II the building was destroyed and rebuilt after. Modern palace is not as wide as Edo Castle, but it is not how much it begs beauty. The palace complex is surrounded by moats and ancient walls, is located in a large park area and is divided mainly into two parts – kyuden (the official part of the palace, where all the important meetings and negotiations) and the living area, where there is a house of the Emperor and Empress. In the inner part of the palace are Nidzibasi bridges, one of which – the stone bridge Meganebasi – seen from the square in front of the palace.The second bridge – Nidzyubasi – once was a wooden, due to which it gets its name. 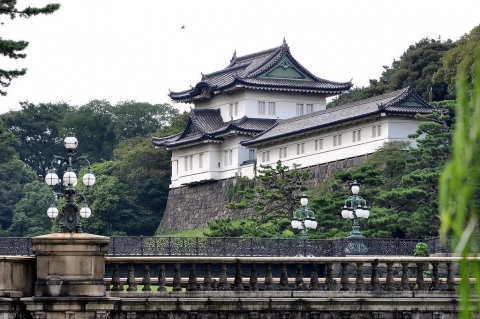 However, bridges are closed to the public – as well as the Imperial Palace. Access inside is possible only twice a year – January 2, during the New Year Emperor appeal to his people, as well as the birthday of the current emperor, on 23 December. However, tourists are offered tours around the area for foreign tourists are provided with audio guides in English. Also, everyone has the opportunity to visit Eastern imperial gardens, open to the public on all days except Monday and Friday.